Is the Rover distributor an hei type, or is it dependant upon a computer ? Depends on how old it is. There was a Lucas points version (35D8) and later a HEI with an external amplifier (35DLM8). The HEI does not require a computer. However, it does have it's quirks. The amplifier is well known to fail, but is easy to swap for a gm remote amp. Also, I seem to remember that it does some weird stuff at higher rpm's. You would be better off with a Buick HEI or an electronic conversion. Ok, I’ll get one to eliminate the points, easier to find than a 350 hei. What is the amplifier ? Is that what we call the module ? I don’t like the Pertronix unit for the Buick, used one before and had a lot of problems with it. I also used one in a big block Ford and it was great, a completely different setup, much simpler. Just for the record, I have been running a PerTronix Ignitor module in my Buick 215 distributor for 16+ years without any issues. Just for the record, "HEI" is the brand name for GM's coil-in-cap distributor. 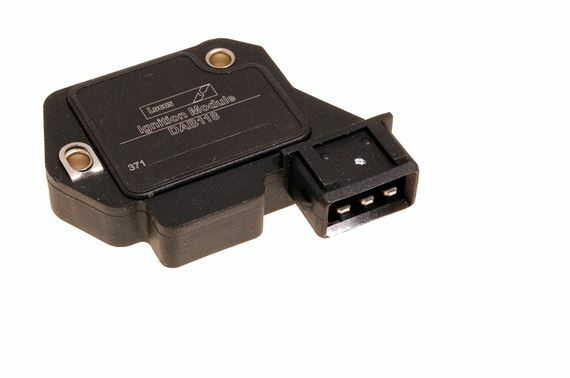 A Pertronix electronic conversion, or an aftermarket electronic distributor is not "HEI", it's just an electronic distributor or an electronic trigger conversion. Any small block Buick distributor will work. Yes, and I can confirm that you can even use a Pertronix as the pickup in a crank trigger arrangement by mounting small magnets in the trigger wheel. BTDT. It will happily drive a coil directly in such an application, allowing you to use the distributor only for direction of the sparks. (and to drive the oil pump if needed.) You could also use it to supply a strong and stable tach signal to an aftermarket COP or EDIS but seems a bit overkill for that.